The movie “Grave Encounters” (2011, directed by The Vicious Brothers) is very poor musically speaking. In this sequence, there is originally absolutely no music at all, and only a very few sound effects. Here is a Music i composed, with some sound effects I created, to add a lot more of tension to the sequence. You can also compare and watch the Original sequence without the music by watching the second video. 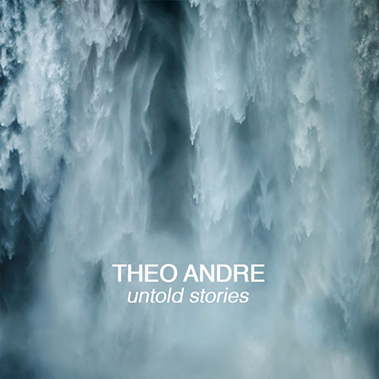 Composer, Dj and passionated by Electronic Music, Théo André has a specific approach of Film Music. Between classical music and electrical scapes, his universe can’t be reduced to only one genre. Autodidact, he collects his inspiration in the multitude of Electronic Music sonorities, as much in his harmonic approach as Classical Music. Continuing his activity of Dj Producer of Electronic Music, graduated of ISTS (Diploma of Superior Studies of Sound Techniques), where he acquired skills in Sound Design, it’s this eclectic approach of Film Music that makes his originality. Copyright 2016 www.theo-andre.com - All rights reserved.